All the classes are really enjoying the Charanga music scheme. The children are listening to music, responding to music, writing and performing music, learning instruments and singing songs/ raps/ chants. 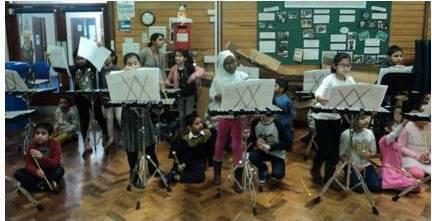 In December there was a great glockenspiel concert by Ms Kaur’s class. They had been learning to play these fabulous percussion instruments with Mr Patel, who comes to the school every week from Leicestershire Arts. 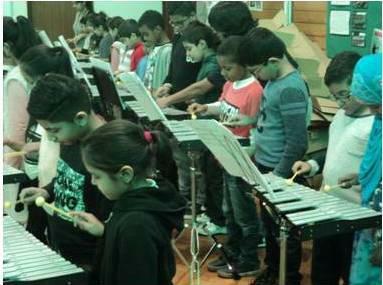 The children had learned lots of different tunes. Everyone in the hall really enjoyed the performance. Mr Patel had even trained the children to take a proper bow together at the end of the show. Children from Year 6 have the opportunity to join Mrs Race’s Recorder club which meets on Mondays each week. So far, we have been focusing on the notes B, A and G. The children are enjoying the challenge of writing their own music at home for the group to perform together. Well done to Ashrin, from Class 3, for her recent piece. We love it! We are looking forward to performing it in a school meeting too! Children from Year 5 were lucky enough to go to De Montfort Hall in November to hear the world-famous Philharmonia Orchestra perform a variety of pieces of classical music. The children particularly loved hearing the theme from the television series Dr. Who! One of the other pieces was called Infernal Dance from The Firebird by Igor Stravinsky. Some of the children had their art work shown on the huge screen while the music was performed! All the children at the concert (about 1000) joined together with the orchestra to perform a specially written piece called Bamboozled. It sounded AMAZING! At the end of the concert, the orchestra surprised everyone by playing the theme from the popular film Pirates of the Caribbean. 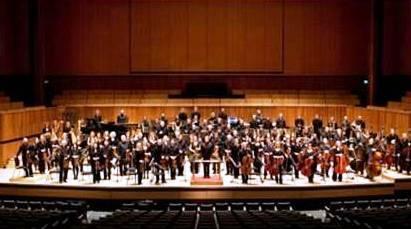 Bridge Junior School have been attending Orchestra Unwrapped for a few years now. 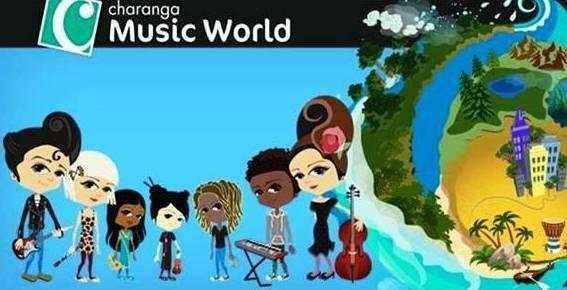 It's a great way for children to experience live music in an age-appropriate context. To find out more information, please click on the link below. You will be able to see a video featuring ex-Bridge pupils and our old Music teacher, Mrs. Beresford, who is now retired.